Visit us over the Winter months for this group exhibition, showcasing seasonal works from our talented artists. This evolving exhibition offers a glimpse into the wide variety of styles and oeuvres that we represent. Our walls will be filled with works to inspire and challenge, to take you on a journey, or simply fill your soul with joy. Our knowledgeable art consultants are on hand to help you find the right piece for your home or place of work. Come in to browse, or make an appointment, and we can take you through the many offerings that connect with you and your spaces. Visit us over the Fall months for this group exhibition, showcasing seasonal works from our talented artists. This evolving exhibition offers a glimpse into the wide variety of styles and oeuvres that we represent. To name just a few, we will have new creature filled panels of Eleanor McGough alongside Allison Johanson's color saturated canvases. Silvana LaCreta Ravena will be exhibiting some monumental encaustic pieces, while Kei Gratton unveils her spiritual energy in her magical works. Visit us over Summer for a group exhibition, showcasing seasonal works from our talented artists. This evolving exhibition offers a glimpse into the wide variety of styles and oeuvres that we represent. We love taking this opportunity to bring art to life for your enjoyment! Our art consultants are also always available to help you find the right piece for your spaces. Come in for a chat, or make an appointment, and we can take you through other options that could be perfect for you and your spaces..
Visit us over Spring for a group exhibition, showcasing seasonal works from our talented artists. This evolving exhibition offers a glimpse into the wide variety of styles and oeuvres that we represent. We love taking this opportunity to bring art to life for your enjoyment! Journey into the entomological atmosphere with these latest works from local artist Eleanor McGough in "Layers of the Atmosphere". Be swept away by their immense energy and delve into their fascinating detail, as they convey the transience of life from each corner of the canvas. DON’T MISS THE ARTIST’S TALK BY ELEANOR AT THE OPENING OF THIS SHOW AT 5PM! 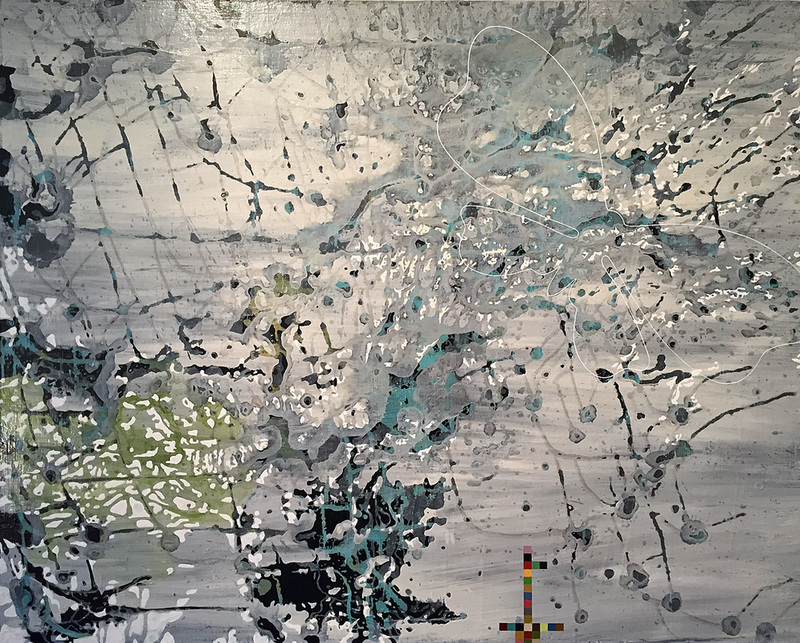 Eleanor McGough’s paintings explore our fleeting place in the larger patterns of weather, migrations, and time. Imagined life forms inhabit terrestrial, aquatic, or atmospheric spaces, revealing fragile and tenuous relationships within these vast systems. McGough’s recent series, “Flight Patterns” and “Flight Jacket Vestments” explore the mysterious qualities of flight, unpredictable natural forces, and insect and bird migrations. McGough is influenced by the research of high altitude entomology that details the astonishing fact that billions of insects are carried in air currents through the layers of our atmosphere. This idea serves as a visual metaphor to the broader context that all life is transitory and swept up in immense patterns of energy. Her work is informed by a lifelong interest in biology, particularly of plants and insects, and her influences include Ernst Haeckel, Maria Sybilla Merian, Hudson River School landscapes, Japanese woodblock prints, textile patterns, traditional Asian scrolls, as well as topographical and aerial maps. DRIFT INTO THESE MESMERIZING WORLDS OF INTERNAL DIALOGUE AND DREAM-LIKE REALITIES AS WE INTRODUCE YOU TO THE LATEST WORKS FROM LOCAL ARTIST KEI GRATTON. With great pleasure the Veronique Wantz Gallery are showcasing Kei Gratton's latest works in a solo exhibition "silent golden". Kei's paintings are meditative reflections of an internal landscape - resting somewhere between the seen and unseen - inviting the viewer to wander and wonder to a place where inner dialogue has no boundaries. Please join us for an evening of conversation and champagne, and meet Kei on the opening night too! Visit us over January for a group exhibition, showcasing warming works from our talented artists. This evolving exhibition offers a glimpse into the wide variety of styles and oeuvres that we represent. We love taking this opportunity to bring art to life for your enjoyment! Visit us over the summer for a group exhibition, showcasing vibrant works from our talented artists. This evolving exhibition offers a glimpse into the wide variety of styles and oeuvres that we represent. We love taking this opportunity to bring art to life for your enjoyment! Stan Berning, born in New Bremen, Ohio, finds his appreciation for realism to be a constant rejuvenation force. Working primarily with oil and acrylic, he is drawn to the minimalist approach, the editing down of subject to its essential elements. Kei Gratton’s process is tactile often relying on her hands to move and manipulate the paint. Her most recent paintings are meditative reflections of an internal landscape – resting somewhere between the seen and unseen. 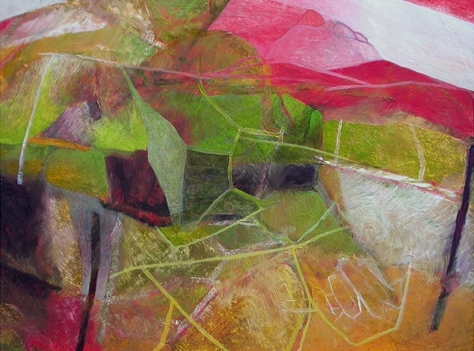 She invites the viewer to wander and wonder to a place where inner dialogue has no boundaries. Jim Hillegass, our resident artist, is a Nebraska native who has lived in Minnesota for nearly 40 years. He enjoys sailing, flying his 2 planes, and traveling the world. All of these treasured past times encourages him to look closely, observing his surroundings, which is then translated into layered oil, acrylic, or watercolor washes. Michael Kessler, born in mining country in Hanover, PA, and current resident of Santa Fe, NM, comes by his sense of landscape and geology honestly. If Kessler’s paintings are in some sense landscapes, it is interesting to note how that form breaks apart and widens its associative range when wed to the sort of pure material abstraction that Kessler practices. Eleanor McGough, originally from the Pacific Northwest, maintains a studio in Northeast Minneapolis. Her work is informed by a lifelong interest in biology, particularly of plants and insects, and influences include Ernst Haeckel, Hudson River School landscapes, Japanese woodblock prints, and topographical and aerial maps. 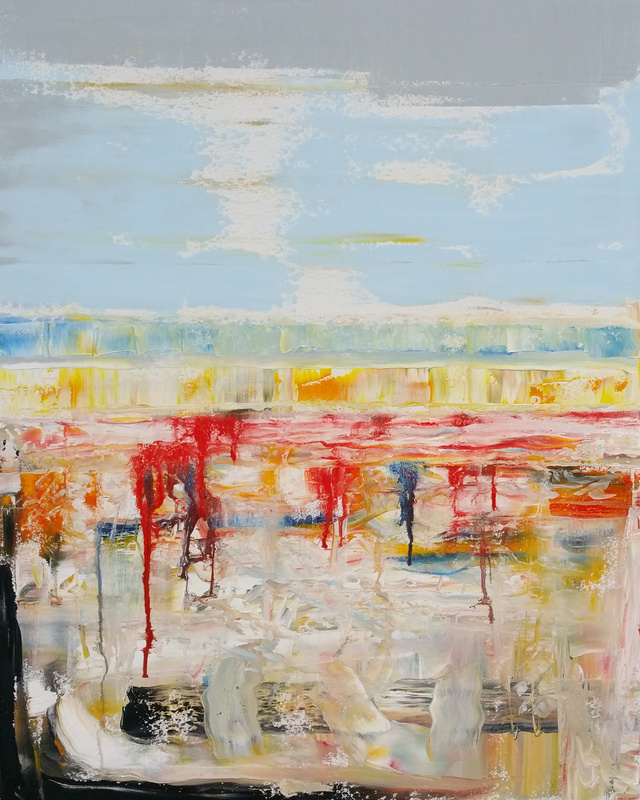 Silvana Ravena is a versatile painter who works in oils, acrylics, watercolors and encaustic. Originally from Sao Paulo, Brazil, her education as a psychologist led to the development of her signature artistic theme: memory. 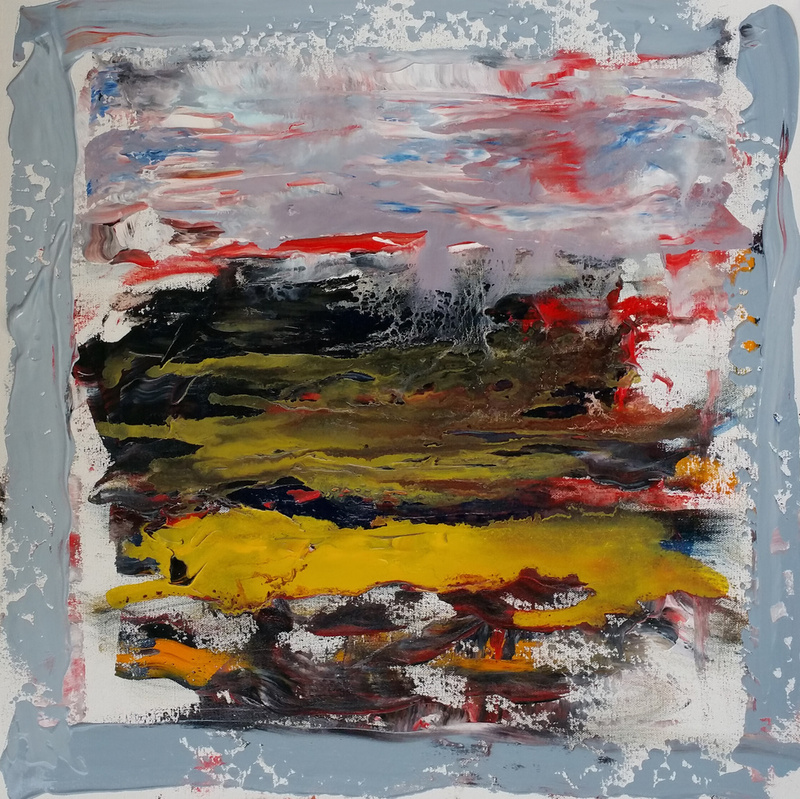 The layers she creates in her paintings are intended to bring the layers of memory to life; the paintings’ textures are not merely symbolized, but are present on the canvas. Richard Rehl grew up in Minneapolis and studied drawing and printmaking at the University of Minnesota. He began painting at an early age on the floor of his childhood home and posted his works for sale on the refrigerator door. Our resident artist works predominantly with acrylic on paper, canvas or board. Annie Rodrigue uses art as a tool for expression. 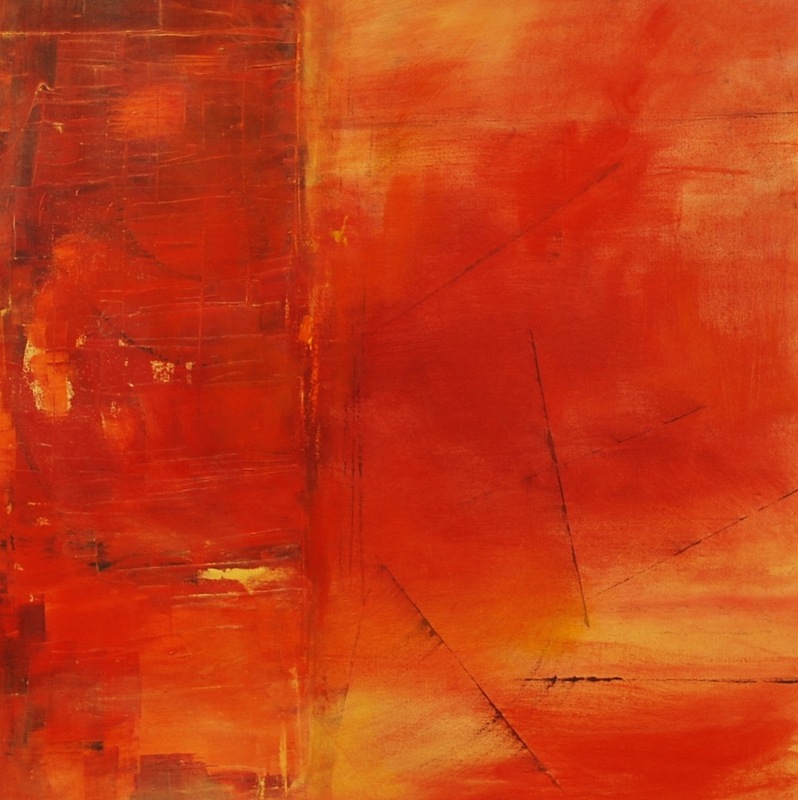 Her work is instinctual and liberating as she creates layers of texture and vibrant colors. Her intuitive nature is inspired by the beauty of nature itself. 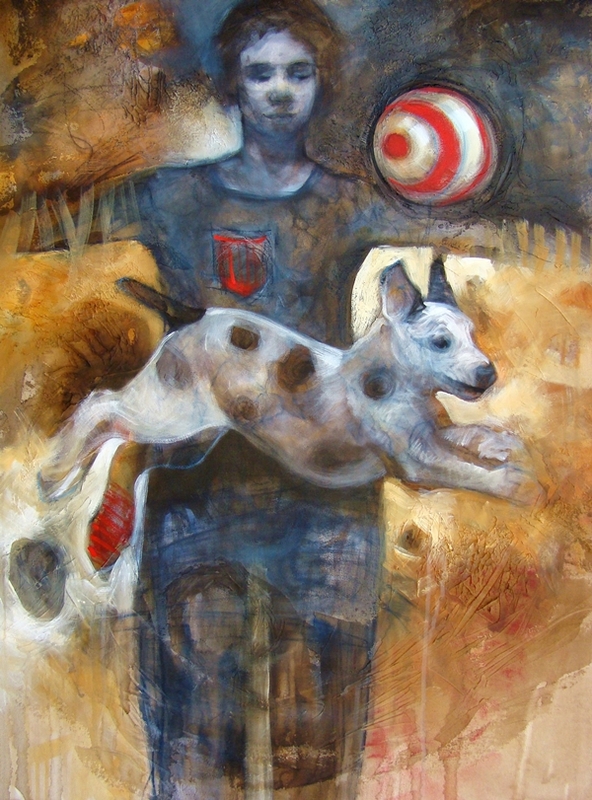 Dominique Samyn, born in Flanders, Belgium, is currently working in her studio in New Mexico. Her work is influenced by the Cobra Movement in Europe known for their uninhibited expressionism. She focuses on three elements: energy, color, and surprise. Tonja Sell, a Wisconsin native, is captivated by the human form, texture, layering, and hidden images. She works with mixed media building tactile surfaces that invite exploration. Gaby Silva Bavio lives and creates in La Plata and Chicago. She experiments in her studio as if it were a lab where she mixes several media upon many surfaces to obtain the desired effect. Painting, to Gaby, is very much a part of her being, like breathing. Chuck Solberg is a nationally recognized clay artist who works in stoneware and porcelain on the potter’s wheel throwing tableware and large sculptural bowls and vases. His goal is to accent the inherent spontaneity and raw beauty of the clay. Kathy Wismar is both a ceramicist specializing in wheel thrown, functional pottery, and an abstract painter. She believes that being an artist is more than simply making things, but that it is a mixture of seeing what is not yet real and working to make it happen.